Once upon a time, there was a beautiful little girl called Ella. Her father died when she was very young, leaving her in the care of his second wife and two step daughters. Jealous of her beauty and general wonderfulness, the stepmother and her daughters forced Ella into becoming their maid, and generally set about trying to repress her spirit. It’s actually a horrible story, come to think of it. Ella is forced to slave away for people who she, and her father, had trusted to take care of her, and there seems little happiness in sight. And then things magically look up when the fairy godmother arrives and grants her one wish: to go to the ball and escape the misery for a time. she could forget the drudgery of her life for a time, pretend to be someone else and dance away her sorrows like any other privileged young woman in the kingdom. She never asked to be rescued from her situation; that sort of came along later. I actually think Cinderella is a very gender neutral story. The core is pretty simple: someone who leads a boring, seemingly meaningless life is suddenly sparked into a realm of wonder by some sort of amazing event, and then everything that they have been through acquires significance and importance. 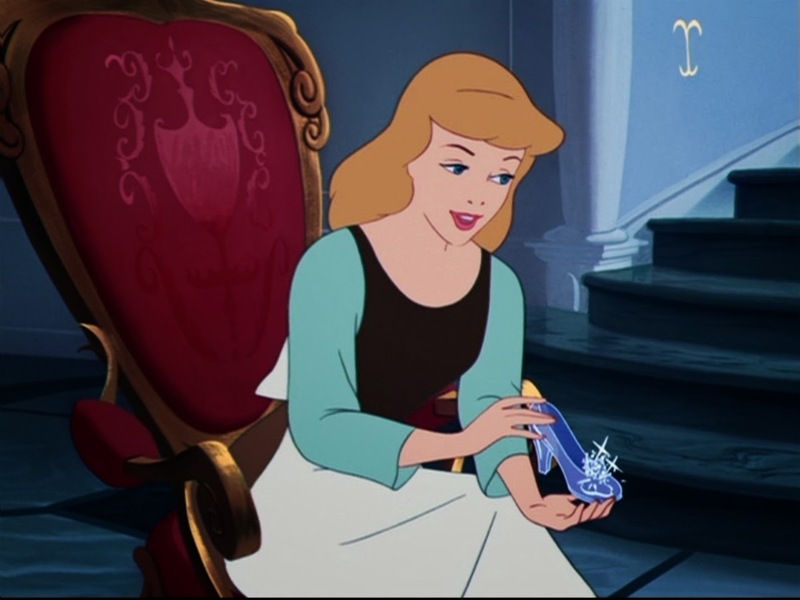 We tell ourselves that Cinderella was rewarded with love and riches because she was ‘good’ and ‘kind’. There has to be some causal connection between what she did before/how she lived and what came next for her. The fairy godmother didn’t visit the wicked step sisters after all. Cinderella is the ultimate ‘absurd’ hero, along the lines of Camus’s Sisyphus. Camus defined his hero thus: ‘..the whole being is exerted toward the accomplishing of nothing. This is the price that must be paid for the passions of this earth.’ Cinderella’s drudgery was undertaken as some kind of absurd punishment, handed down to her by someone who, by all rights, should have risen higher than to take out latent frustration and insecurity on a helpless child. The stepmother is the ‘god’ of Cinderella’s absurd universe, dictating her endless servitude and demanding unflinching love and obedience in return. Being the hapless human she is, Cinderella delivers. 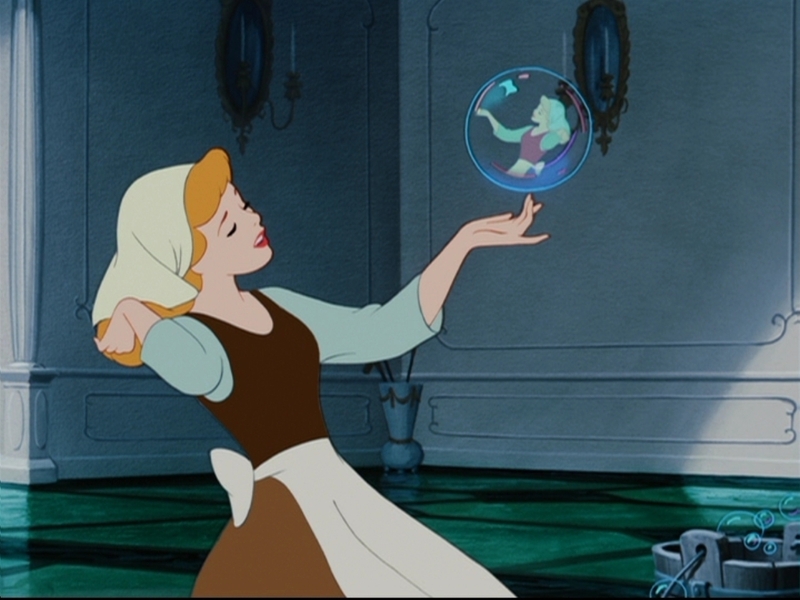 Cinderella does the chores allotted to her because she cannot do anything else. There is no place for rebellion in Sisyphus’s world. His knowledge of this, and his ability to continue on in spite of it is what makes him a hero; similarly, for Cinderella, she perseveres simply because she must. She has no choice. The way her life is lived is unchangeable by her own agency; the attitude she brings to it is what makes her heroic. The beauty of a fairytale is that things can change, and often do, for no real rhyme or reason. Cinderella’s escape from her absurd existence is simply a fluke. The fairy godmother appears literally out of thin air and rescues her, provides her the night of fun she desires. That brief escape from her rock leads to bigger and better things, but how long before those become their own version of the dreary existence she just left behind? Camus makes it clear that this constant repetition of a meaningless task, the endless labouring towards a hazy and undefined goal, is what defines modern existence. Power comes from recognising this and continuing regardless. it comes from watching as the boulder rolls down the mountain and then following it down the path, to start afresh. ‘..the absurd man, when he contemplates his torment, silences all the idols,’ Camus notes. In the recognition of his state, he owns his fate and diminishes the power of the gods. Cinderella’s ‘escape’ from drudgery is the joy inherent in a fairytale, a pretty fabrication told to children. The reason the story ends where it does is because to follow it onwards would be unbearable. We would see her happiness dissolve, her marriage become routine and rote, another boulder to be rolled up a hill. We might see her giving joy and life to it, as becomes her character, but it wouldn’t do the job of conveying the fabricated moral half so well, that ‘kindness’ will get you places. One must imagine Cinderella is kind.